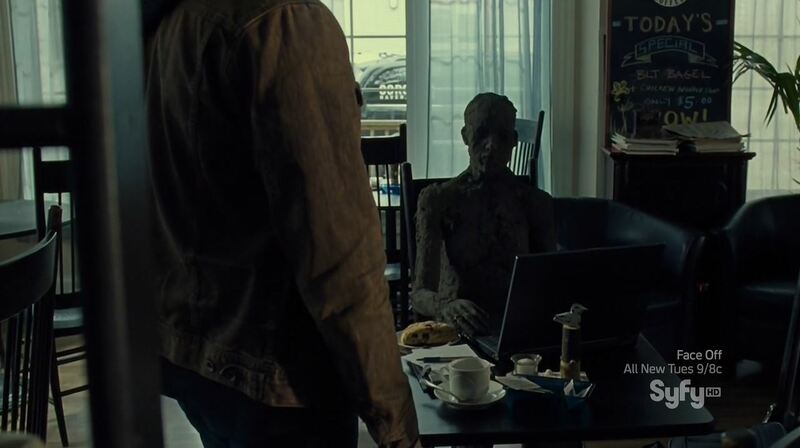 This week’s episode of Haven continues with the menacing tone that has been brought upon the personal relations of both Nathan and Duke. For once it is not a troubled person that is the biggest threat but instead it is The Guard. During last weeks episode the new character Jennifer made a prophecy that if Audrey killed the person she loved the most the troubles would go away. 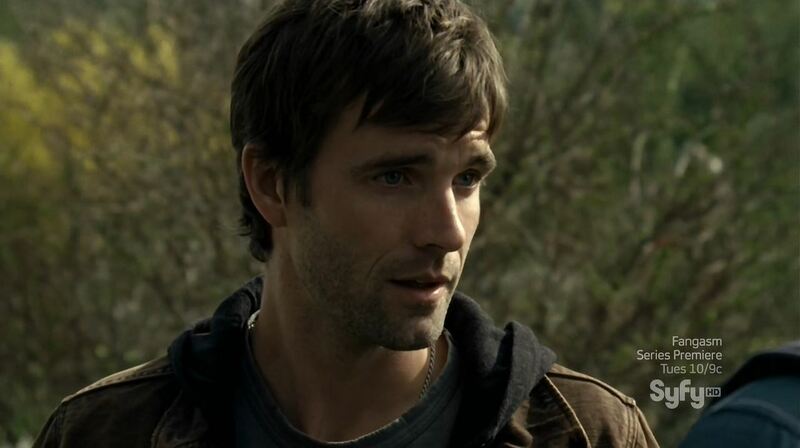 The Guard, and Jordan (Kate Kelton) in particular, have a vested interest in not seeing Nathan (Lucas Bryant) die stopping a troubled person. However, that doesn’t make them any less a threat to the people around him that are actively encouraging him. Vince (Richard Donat), the leader of the Guard, doesn’t really seem to mind that Nathan is trying to stop the mental pyromaniac who is the ‘trouble-of-the-week’. Jordan is and she is probing Vince for weaknesses. 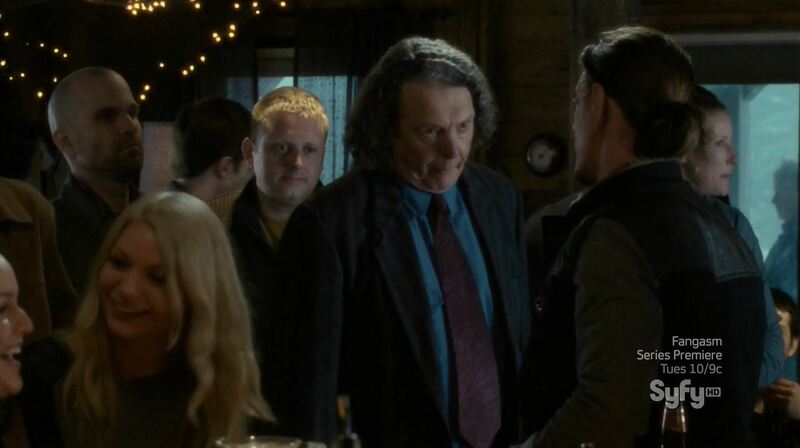 Vince on the other hand is preoccupied with trying to chase Duke’s brother Wade out of Haven. Duke (Eric Balfour) seems to get the message about one Crocker in Haven being enough but his brother seems oblivious of the troubles and The Guards dislike for Crocker’s. After many twists and turns Nathan manages to stop the mental pyromaniac (he works for the fire department, go figure), but the other plotlines remain unsolved. Meanwhile Audrey (Emily Rose) is still Lexie in a bar and William (Colin Ferguson) is still trying to convince who she is. Unlike last week he goes about it less subtly, giving creed to fan theories that he is this season’s bad guy. In the end he manages to convince Lexie that she is in fact Audrey, so I guess we will find out more next week. 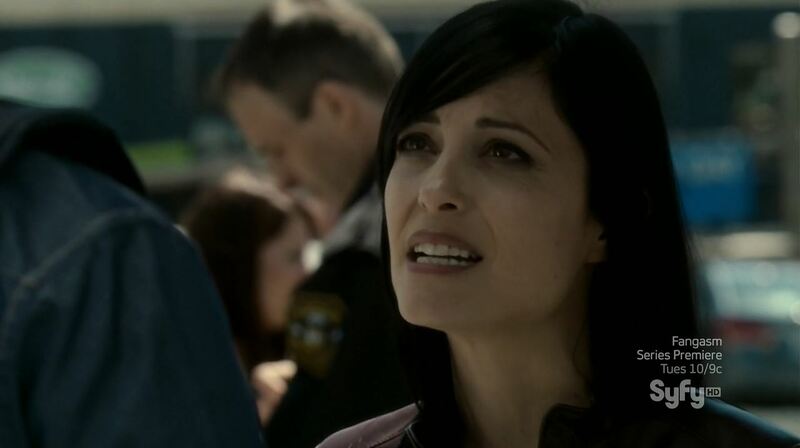 Episodes of Haven, and this one in particular, commonly suffer from events happening that make sense to the characters but not to the audience. the suspense of disbelief is thus often broken. During this weeks episode it is Nathan’s quest to find Audrey that doesn’t make much sense. It might just be part of the plot that makes it necessary for Nathan to seemingly put his live in danger but I do wonder why he isn’t in a pick-up truck out finding Audrey. It seems that at moments the writers are struggling to juggle with all the plotlines. Score; 8 / 10. The various plotline are effective but the trouble-of-the-week distracts a bit. Next story Person Of Interest S3Ep1 ‘Liberty’ Review! Previous story Become a Person of Interest during its 3rd season!